Put our strength and stability to work for you. 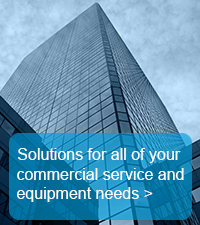 As a business owner, or the person responsible for the services and operations in your company or organization, one of the most important decisions is choosing the right provider for all of your commercial equipment, fuel and energy savings needs. That’s why you can count on Petro – America’s #1 heating oil provider — as your total energy solutions partner. Bottom line, we will partner with you to provide turnkey energy services and solutions to improve your commercial operation. Petro offers a range of energy-efficient fuels, equipment options and services. You and your company’s energy savings, are always our #1 priority. That’s why you will be assigned your own personal commercial sales representative. Get the best commercial energy solutions package for your business from Petro. Recognized as one of Forbes most reliable small-cap companies* for our experience and highest levels of quality control in the industry, more and more businesses are realizing that Petro is the smart choice for their motor fuel, heating and manufacturing needs. Petro will help you deliver on your promise to perform. Good market or bad, fair weather or foul, Petro delivers! *Petro is wholly owned by Star Gas Partners, L.P. who were recognized in Forbes’ 2010 top 100 most trustworthy small-cap companies. www.forbes.com/2010/04/05/most-trustworthy-companies-leadership-governance-100_2.html.